A British tourist has been found not guilty of assaulting Australia's former Rugby Sevens captain James Stannard. Sam Oliver, 23, had been accused of knocking Stannard to the pavement with a single punch, leaving him with a fractured skull. The confrontation took place outside a Sydney kebab shop in the early hours of 30 March. Mr Oliver, from Newcastle, argued that he had acted in self-defence. On Wednesday, Magistrate Richard Funston found Mr Oliver not guilty of recklessly causing grievous bodily harm. "I have come to the view that I am not satisfied beyond reasonable doubt that this very serious charge can be made out," Magistrate Funston said. He said "alcohol played a huge part" in the "unfortunate incident" and both men had been heavily intoxicated at the time. Witnesses had also been intoxicated and relayed inconsistent memories, the magistrate added. Mr Oliver's lawyer told a court hearing that Mr Stannard had sworn at his client, using an anti-British expletive, and had thrown the first punch, leaving him with a black eye. 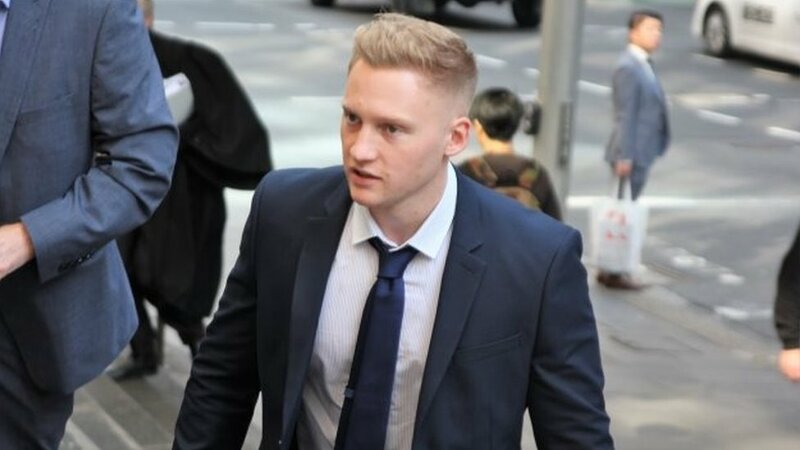 The court also heard from a paramedic who said Mr Oliver acknowledged "there was a fight but denied the king hit" - Australian slang for a single punch. Prosecutors alleged Mr Oliver had thrown the only punch in the confrontation. Following the verdict in Downing Centre local court, Mr Oliver said he was "pretty relieved". "Nothing good happens after 2 o'clock," he told reporters. "I need to let my mum know straight away. She is worried sick." Mr Stannard, who retired from rugby in June, said he was disappointed.